David Bass Golf has access to all major Brands of Golf Equipment, and we also custom build from the very best available options in custom component clubs. Each individual club or set by David Bass Golf is unique because it is fashioned using your individual specifications. This individualization of your clubs is the reason why we don’t accept trade-ins! We can build you a new custom set of clubs, or fit your existing set to you. Each box arrives with your name and customer number attached- our club sets are built to suit you perfectly. Don’t make do with your ill-fitting clubs, let’s fit that equipment to suit you. 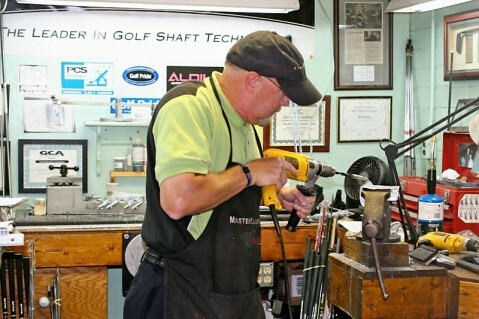 Personal custom adjustments such as loft/lie adjustments, length, swing weight, or grip size are made as needed- to adjust to your changing needs.